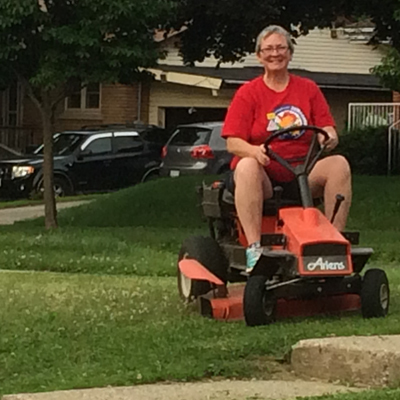 Have you signed up to help with our church lawn care? You should. It really is a lot of fun and with lots of help it is only a little work. You can sign up on the sheet in the narthex or call the church office. I can almost see the wind in your hair, Teresa.! You are a trooper! I just LOVE that job request………!!!!! “WIND IN YOUR HAIR” – what a vision………..! Congrats to all the lawn mowers. You did a fab job this summer and I thank you sincerely!!!!! A big bouquet of roses to each & every one of you!!! !